We offer the widest selection of quality wine accessories in the industry. Our products include all the best-selling wine openers, such as the world-renowned Laguiole and Rogar Estate corkscrews. We also offer funnels and aerators to enhance your wine tasting experience like never before. 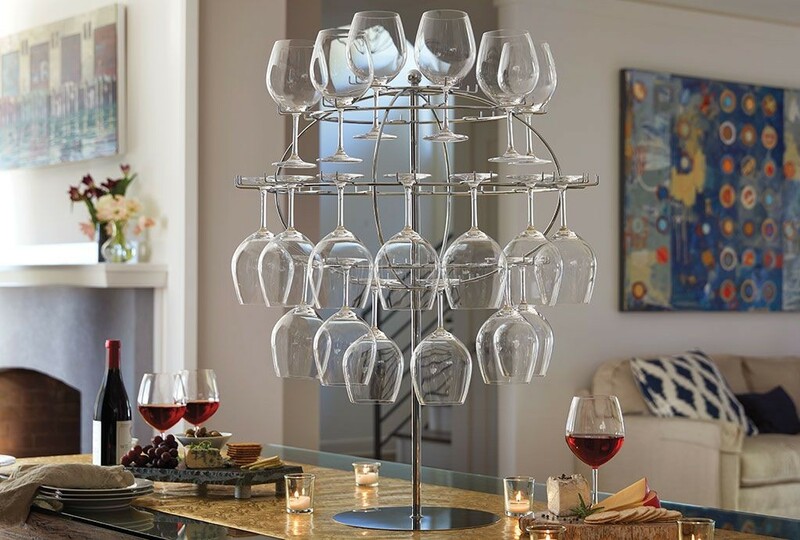 From corkscrews to wine luggage, and from barware to kitchen accessories, we offer exciting new products mixed with perennial favorites from leading local, national and global suppliers. Our quality products make wine easy to enjoy. Before you open your bottles, we have everything you need for storing and displaying your wine, organizing and tagging the bottles, chilling the wine, and measuring the temperature until the wine is ready to serve. When you purchase new bottles, whether at your local wine store, in a California winery or while visiting a French Chateau, we have FAA-approved wine luggage, carriers and totes for safely traveling with your wine. We also offer wine tags, bags and pens for gifting your wine to friends, family and associates. When you’re ready to open your bottle, we offer every imaginable type of wine opener to remove the cork from the bottle. Some corkscrews work well with young corks, but old crumbly corks need corkscrews commonly referred to as Butler’s Friends. Once the cork is removed, use a funnel, aerator or pourer for your wine. Funnels and screens not only aerate wine and enhance its bouquet, they also remove sediment that develops in older wines. From the bottle, wine can be poured into a glass or into one of our many decanters, which look great and allow the wine to aerate. If you don’t finish the wine in your bottle, preserve the remaining wine with a choice of tools, including silicone stoppers, vacuum pumps, and Nitrogen or Argon gases. With our Coravin openers, you can pour wine through the cork without exposing the wine to oxygen. WineKeeper systems can be used to preserve and dispense wine with a choice of Nitrogen and Argon gases. Corkscrews: Affordable waiters corkscrews, French-made Laguiole corkscrews, Original Rogar openers, Lever corkscrews, wing corkscrews and foil cutters. Wine Preservation: Preserve unfinished bottles of wine with our choice of bottle stoppers, Nitrogen and Argon gases and vacuum pumps. Serious wine enthusiasts can dispense and preserve wine with our Coravin and WineKeeper systems. Funnels & Aerators: Wine aerators and funnels are designed to derive the best aroma and flavor from old and young wines alike. Aerators open up wines by adding air to the wine; funnels make it easy to fill decanters and remove sediment; and pourers reduce drips and also aerate wine. Barware: Browse our selection of bar tools, coasters, chillers and buckets, ice molds and whisky stones. We offer a variety of unique and popular styles for indoor and outdoor entertaining. Home Décor: Original Cork Cages and Cork Cage Ornaments, wall and floor décor, wine soaps and lotions, LED wine bottle and scented candles, and bottle displays. Kitchen: French-made Laguiole flatware, wine-themed salt and pepper shakers, cheese knives, fondue pots and linens. Entertaining: Cutting and serving boards, wine tasting sets, wine bottle markers and party accessories. Travel: From a local night out to traveling on airplanes with wine, our travel products include luggage and suitcases, carrier bags and totes, jute bags, picnic bags and outdoor, unbreakable drinkware. Organization: Keep your bottles organized with our affordable wine rack, bottle tags, temperature gauges and cleaning supplies.